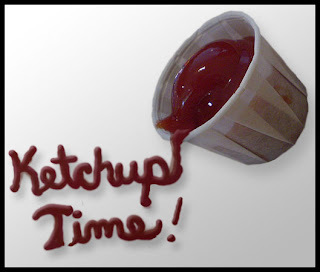 So, You're a Writer...: Ketchup Time! For those of you who’ve asked, SSP has been fantastic. Honestly, I have no complaints. They’re a well-oiled machine—communicative, organized, and hungry. You’d think that level of efficiency would make them cold, but it’s the complete opposite. The pub has this down-to-earth, family vibe going on. It’s great! Anyway, enough about me. How are you? 1. Just to clarify, there are no vampires in my book. I was being silly. I've had about a week of noodling, polishing and sending out a couple of short stories, now it's time to get back to writing...something. Looking forward to your book! I'm working on edits for CassaStorm again. That's great you're all ready for publication! My WIP has been kind of frozen with one and a half chapters left of the initial edit, but I've been busy fundraising for my stepson's college fund, and we've been away. Hopefully NaNo will reinvigorate me - back to basics! So excited for Strength! I'm just doing the edit thing back and forth with the agent lady and prepping for Nano. 3 days!!! great to know all is going well with your publication! I'm so excited for you, Carrie. Can't wait to get my copy of Strength! And I couldn't agree more about SSPub. They truly embrace their authors and I'm proud to call myself your SSPub sister. Exciting stuff. And that's a good kind of busy. March will be here before you know it! I canNOT wait until Strength comes out & I get to read all the changes! I agree about SSP. I think it's b/c it's run by women. And one is an author. They are truly tuned in & well oiled. It love it there! As for me, I read my book, the paperback, which was surreal, for the VERY LAST TIME. I've finally picked up my outline again & will work on book 2. It's about time! You know, Carrie, you'll read your book again, in paperback. There's nothing quite like it! I'm glad your happy & confident now. Strength is an awesome story! Onward, Carrie and good luck with the rest of the process. Sounds like you have it all going the way you want. That is wonderful. It's good to be back from vacation, but I really enjoyed that break! Thanks, Kyra! :) Have you recovered from your release/bloghop yet? Sounds productive! :) Good luck switching gears! Your book is gonna shine, Carrie. And honestly, nobody needs to see if your chest is as shiny as a vampires... oh, you meant... oh. Hah! Don't worry. I won't go THAT far to sell a book! Hey, family comes first. You gotta do what you gotta do. :) Good luck with NaNo! Thanks, Ilima! :D Oo, I hope your edits are going well. Good luck with NaNo! Hey, Prerna! I've missed seeing you around here. :) I hope all is well! P.S. You'll be doing all of this soon. And the world will be one step closer to Edge of Truth! It is! :) Thanks for stopping by, L.G.! You make a good point about SSP. Maybe that's why they're so attentive and detail-oriented. :) Woohoo for reading your paperback one last time. That has got to feel great. Thank you, Lee! :) We're glad to have you back around the blogosphere! It's great to hear you've had a wonderful experience with your publisher and that you're pleased with the results. Confidence is so essential, yet so difficult for many to achieve. Let me extend to you congratulations on your accomplishment and my wish for much success. I can't wait for Strength to come out! I am making everyone I know read it! Well you know I've been working on edits. I'm also critting for some people (really good books too), getting ready for my launch, working full time, and enjoying the heck out of my precocious little five year old! The vampire analogy really worked for me! In glad to hear you're having such a positive publishing experience! Me? Writing, writing, writing. And loving it of course. Especially with Nano coming up. [Note] For those of you who don't know, Jeff has an anthology coming out soon. Spells: Ten Tales of Magic! I'm so excited for your book! :D As for myself, I'm just finishing writing my own novel. Hoping to release it by December or the early months of 2013. Whew! Sounds like you've got a lot on your plate. More than a lot, actually. That's buffet-style multi-tasking, right there! I'm glad it worked for someone! ;) Thanks, Jessie! Awesome! :D Good luck, Sheena-kay! Thanks, Summer! :) Oo, that will be awesome. We're going to have so many books from NA Alley sisters in the coming months. I can't wait! sounds like it's moving right along! looking so forward to it coming out! woot! Thanks, Tara! :) In a couple of years, after we both have books out, you and I are going to find an Ohio conference! Your month sounds like mine!!! And your publisher sounds like mine! Oh wait... it is mine! :) haha. And since our release dates are like two weeks apart, it only makes sense we're in the crazy editing phase together. I think that would a relief as well as nerve-wracking. I like the safety net of an "undo" button. I think life should always come with one! How exciting! I'm glad you've enjoyed your edits. Years of work are about to unfold for you. Woot! Congrats. I've written a humorous urban fantasy called "Homeschooling Slayer" that I'm shopping around. Hopefully, it's unique enough to sell to agents and editors who are getting a lot of vampire manuscripts. That's great, Mark! :) Best of luck!